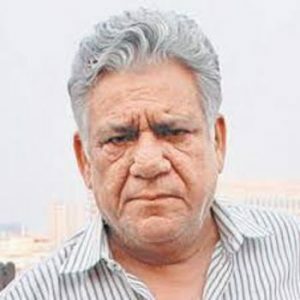 Veteran Indian actor Om Puri, in Pakistan to promote his new film “Actor in Law”, on Tuesday said that people of the two countries respect each other. Addressing a gathering in Faislabad city, the actor also advocated the release of Pakistani movies in India. “Pakistani films should also be released in India,” Dunya News quoted Puri as saying. The “Maqbool” actor is promoting the Pakistani movie “Actor in Law” along with lead actors Fahad Mustafa and Mehwish Hayat. Enthralling his fans, Puri said this was his sixth visit to Pakistan. The future of Pakistani film industry was “very bright”, he added. “Actor in Law” is about an aspiring actor (Mustafa) who succumbs to pressure from his father (Puri) and becomes a lawyer. The Urdu movie, directed by Nabeel Qureshi, is set to release on September 13.